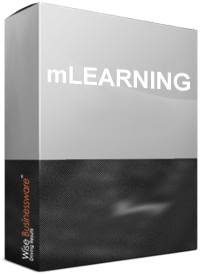 The "m" in mLearning stands for mobile. Mobile Learning or mLearning is the digital delivery of content via mobile electronic devices for the primary purpose of education. Mobile devices are various types of hardware, such as, smart phones, tablets and small laptops. It is important to understand mLearning is not just E-Learning on a mobile device, it is a sub-category of E-Learning. All E-Learning is not appropriate for a mobile device.